Our Lady of Refuge Catholic School delivers an exceptional educational experience, grounded in our Catholic faith. In partnership with families, our curriculum focuses on developing every student’s potential; ultimately creating model citizens who compete effectively in a challenging world, to make a difference in their lives and the lives of others. 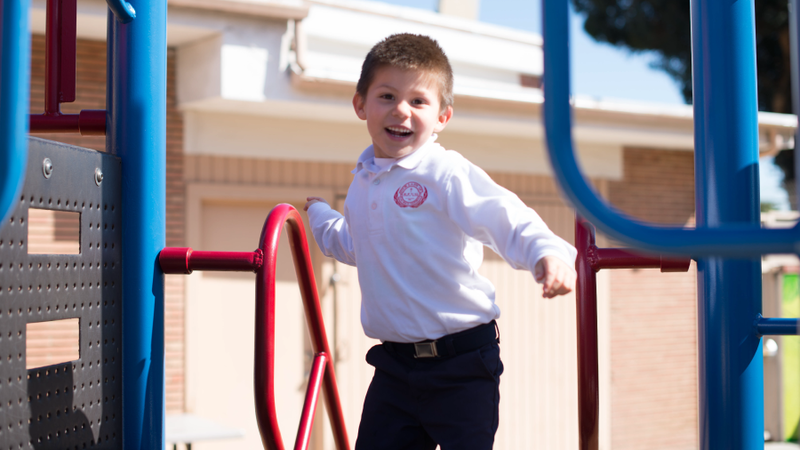 Our vision of a model Catholic education is built on an unwavering commitment to educate the whole child- spiritually, academically and physically; making OLR the school of choice for families seeking a Christ-centered foundation upon which future success is assured. We can express our Catholic values in a number of ways. Each member of our faith-filled school community called is to live out our mission, vision and values. It is the way in which these values are lived and woven throughout the fabric of our Catholic school community that help us express our unique identity. We believe that, as Catholics, we are called to be Disciples of Christ. The distinct nature of Catholic education is rooted in the life, death, and resurrection of Jesus Christ. Everything we do in our Catholic school community is shaped by the Gospel of Jesus Christ, who is the way, the truth and the life (John 14:6). Empowering and encouraging each other to create change in the world by putting the needs of others first. Developing moral and ethical citizens who will inspire others to make a difference in our school, our parish, our community, and our world. We use PeaceBuilders as a tool in order to teach our students how to live out the mission, vision, and values of the school. PeaceBuilders is a science-based, research-validated violence prevention curriculum and professional development program for grades pre-K to 12. Its essence is a common language- six principles, taught, modeled, and practiced. These same principles set behavioral expectations, reduce aggression, and transform the climate and culture of any environment to one which is cooperative, productive, and academically successful. The administration and faculty strive to create an atmosphere that is conducive to the maximum development of the students’ spiritual, intellectual, moral, aesthetic, and physical potential. This enables the students to integrate Christian principles, values, and attitudes that will help them to live and to influence others to live according to the Gospel of Jesus Christ.